Britney Jean Spears was born December 2, 1981. She had her first hit single in 1999 with Baby One More Time which made her an overnight teen pop idol. Frederick Hubbard Gwynne was born on July 10, 1926 in New York, New York. 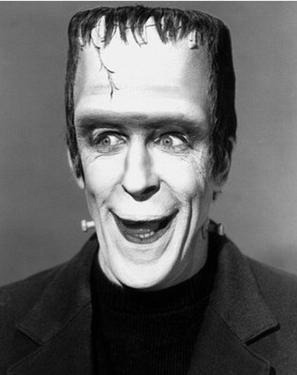 He is most famous for playing the role of the Frankenstein like Herman Munster on the TV show The Munsters in the 1960s. He is also well known for his role as Officer Francis Muldoon on Car 54, Where Are You? Although Olivia Newton-John lives in Australia, she was born September 26 , 1948 in Cambridge, England. Newton-John was her family name at birth. She did not acquire this name through marriage. She has won world wide fame as Sandy Olsen in the musical film Grease. Although she was a popular singer before hand and after with a total of 28 albums, she actually started her career as an actress in film musicals.